Medium is an online publishing platform founded by former CEO and co-founder of Twitter, Evan Williams. It’s popular with both amateurs and professionals, because it simplifies the online publishing process. 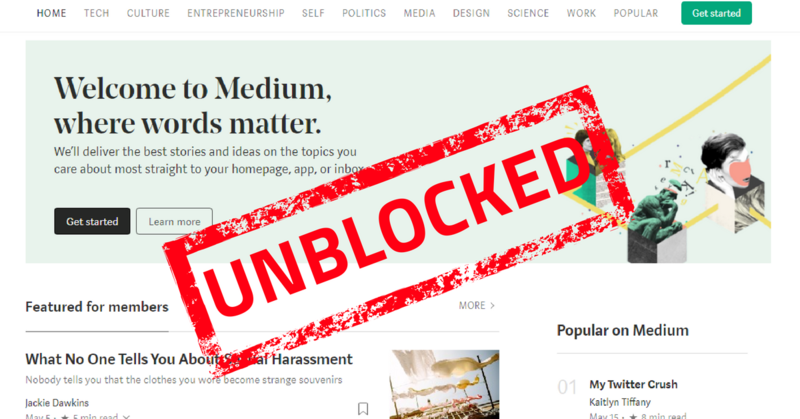 However, since January 2016, Medium was blocked in Malaysia. Even if you haven’t heard the story before, you probably wouldn’t be too surprised that it has something to do with 1MDB. The post in question alleged that the former Prime Minister Najib Razak was trying to exit the country in the midst of the 1MDB corruption scandal. Medium requested for more information and clarification. The next day, MCMC instructed Internet Service Providers (ISPs) to block Medium, and Malaysia has had no legitimate access to Medium, until recently. One of the promises of Pakatan Harapan’s manifesto was to allow more press freedom and freedom of expression. We are unsure if it was a direct order issued from the current government to remove the block, or if it is part of the overall governmental reform for press freedom. Either way, you can now freely access Medium without needing to change your DNS server. And some of us have even been able to directly access what was the more heavily blocked Sarawak Report on our mobiles too, without needing to use VPNs.